Jason is a freelance photographer based Southern England, UK specialising in Sports, PR, Events and Wildlife photography. He started photography in 2011 after seeking to expand on his creative background. Working alongside many wildlife organisations Jason quickly built up a solid reputation of professionalism, quality, attention to detail and a huge passion to capture whatever he aimed his camera at. Marwell wildlife (zoo, in Hampshire) has now made Jason their resident photographer as he covers many of their major events and provides support to their marketing department on a regular basis, becoming heavily involved with various aspects of media outlays. Jason is also currently working for several sporting agencies covering Premier League, Championship, and League 1 & 2 football. 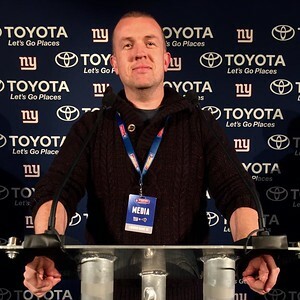 He also works for Pro Sports Images specifically covering the NFL International Series held in London, and has worked with others including JMPUK, PRIME Media, Digital South and Pinnacle Photo agencies. The Times, The Guardian, The Daily Telegraph, The Independent, Daily Express, Daily Mail, The Sun, The Mirror, BBC, ITV, CNN plus many wildlife organisations. CrazyBear, Scoutshops, Kwik-fit, Marwell Wildlife, Handles for Doors, Portsmouth University and various smaller independent retail outlets. Winner of the Endangered Species category of the IZN animal photography awards. Runner up in both 'Best Zoo' and 'Funny/Cute’ categories of the IZN animal photography awards. Winner of the ‘Marwell Species’ category at Marwell Wildlife and Twice received Highly Commended on ZSL’s Wildlife Photographer of the Year competition.